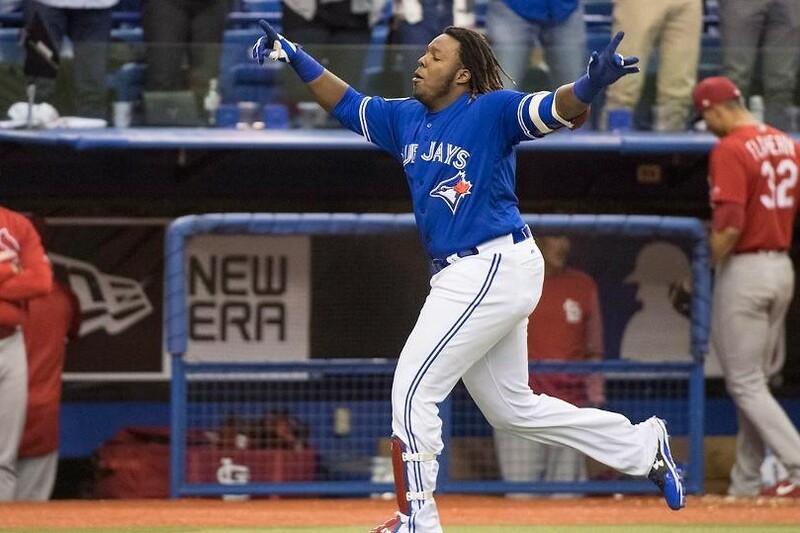 Just when it seemed Toronto Blue Jays fans couldn’t get more excited about their top prospect, Vladimir Guerrero Jr. did something to further cement the idea he could be the second coming of his Hall-of-Fame father. 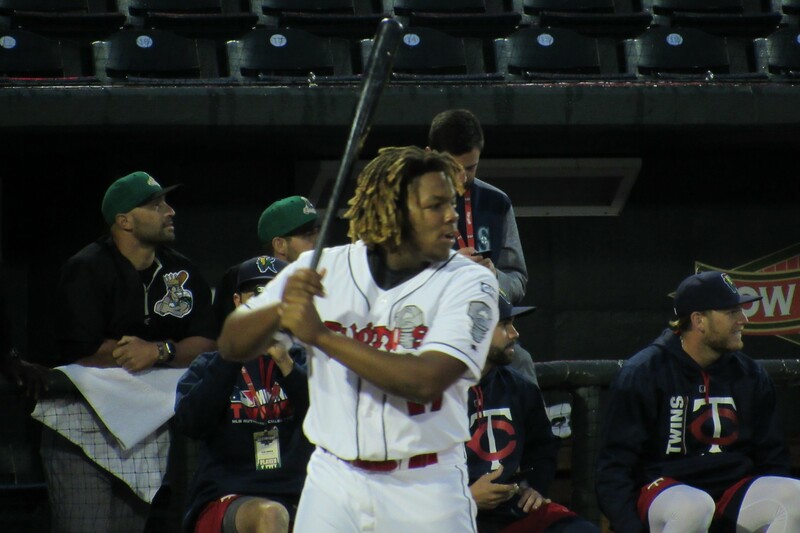 Continuing a new tradition of finishing their spring training schedule with games played at Montreal’s Olympic Stadium, the Blue Jays brought along top prospects Guerrero Jr. and Bo Bichette — both of whom starred for the Lansing Lugnuts a year ago — for this set. It was a notable trip for Guerrero Jr., who was born in Montreal and was a regular at the stadium as a toddler, when his father was a star outfielder for the Expos. Based on those memories and the justified talent hype surrounding the 19-year-old prospect, he received several standing ovations from fans — and gave them what they wanted on Tuesday when he blasted a two-out, walk-off homer to give the Blue Jays a 1-0 win over the St. Louis Cardinals — while wearing the same jersey number, 27, as his father did. Both Guerrero Jr. and Bichette — Toronto’s top two prospects — are slated to start the 2018 regular season in Double-A. They started last season in the Midwest League, where Bichette earned MVP and Prospect of the Year honors, while Guerrero Jr. batted .316 with seven homers, 21 doubles, and 45 runs batted in during his 71 games with the Lugnuts. Both were promoted to High-A after playing in the All-Star Futures Game. Guerrero Jr. finished the regular season by batting .333 with 6 HR and 31 RBI in 48 games with the Dunedin Blue Jays. Vladimir Guerrero Sr. will be inducted into the Baseball Hall of Fame later this year. The nine-time All-Star posted a .318 batting average with 449 HR and 1,496 RBI over his 16-year major-league career. He played his first eight years with the Expos and his next six years with the Angels before playing a year each for the Rangers and the Orioles. He was voted the American League MVP in 2004, when he batted .337 with 39 homers, 39 doubles, and 126 RBI in 156 games with the Angels. This entry was posted in 2017 All-Star Futures Game, 2017 All-Star Game, Baseball Hall of Fame, Dunedin Blue Jays, Florida State League, Lansing Lugnuts, Midwest League. Bookmark the permalink.